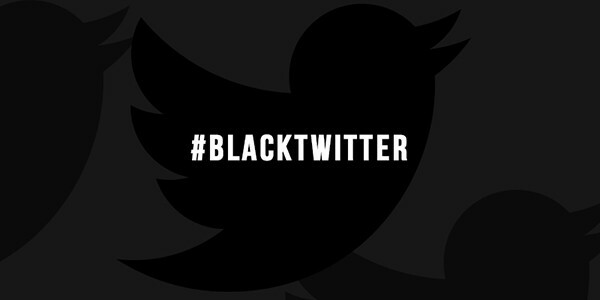 Amidst the surge of social media, a number of journalists reported on what they perceived to be a new phenomenon, “Black Twitter.” The use of the term can be problematic insofar as it tends to frame Black Twitter as a monolith practice. How a black teen trying to make it in his or her local hip hop network uses Twitter, for example, will vary significantly from how a black researcher interested in public health will use the platform. Black Twitter is a dynamic set of practices that are not only marked by race but also by class, gender, geography, social experience, and varying degrees of social capital (i.e., social networks) and cultural capital (i.e., style, linguistic practices, and prestige). Starting around 2007, the convergence of mobile devices and social media began to upset the traditional digital divide narrative. The old narrative constructed African Americans and Latinos, for example, as largely technology poor and disconnected, literally and figuratively, from the hyper-connected world of networked media. Since 2009, research from the Pew Internet & American Life Project, the Kaiser Family Foundation, Nielsen, and the Connected Learning Research Network clearly illustrate a turning point in the technology practices of blacks and Latinos. Twitter is a notable example. Between 2010 and 2012, the percentage of Americans using Twitter doubled. In the U.S., young people and African Americans led the user growth of the micro blogging service. As of 2013, 25% of online African Americans used Twitter compared to 16% of online whites. Young African Americans drive Black Twitter. They were likely the first among American youth to adopt the platform at scale. When I started interviewing black and Latino teens in 2007/2008 about their social media practices, two things stood out. First, the adoption of mobile was decisive. Second, they were beginning to show some affinity for platforms like Twitter even when most industry insiders and tech reporters were openly confused about why teens — get this — were not using Twitter. The teens that I interviewed were using the mobile versions of Twitter to share their thoughts and daily experiences with peers and experiment with their social identities and new modes of creative expression. Today, according to Twitter, 78% of active users are on mobile. To the extent that early (circa 2008) Black Twitter skewed heavily toward youth, it comes as no surprise that much of their engagement with the platform was fueled by their interests in popular culture. Hip hop stars were among the first wave of celebrities to realize social media’s potential for brand management, connecting with fans, and content distribution. By 2008, just one year after Twitter’s take-off at SXSW Interactive 2007, hip hop icons like Questlove (joined 2008), Talib Kweli Greene (joined 2008), and Common (Joined 2008) were building their presence on the site. No population in the U.S. was more poised for the rise of mobile-based social media than young African Americans and Latinos. For a variety of social and economic reasons, practically all of their social media use was via a handheld device. This made them, in the words of E. Everett Rogers, early adopters of mobile social media in the U.S. This ran counter to the dominant digital divide narrative. Early adopter status in the tech consumer world is a source of prestige, cultural power, and, historically, has been associated with middle-class, college-educated white males. But, the face of early adopter status in the convergence between social and mobile media was unlike any experts could have predicted. When analyzing social media it is important to make a distinction between “power users” and “powerful users.” The former is a reference to frequency of use whereas the latter is a reference to currency in use. Much of early Black Twitter use might be best characterized as “power use.” African American youth were among the heaviest users of Twitter in terms of time spent, tweets posted, or top-trending hashtags. Whereas 40% of young African Americans (ages 18-29) use Twitter, about 29% of their white counterparts do. This explains why, over the years, African American related tweets — everything from “yo mama so black…” jokes to Twitter streams related to TV shows watched in black households — have trended high on the platform. As far back as 2008 and 2009, black-inflected topics began trending on Twitter much to the dismay of some whites who expressed annoyance. It was tantamount to having an exclusive neighborhood invaded by unwanted visitors. Power use, however, should not be conflated with powerful use. Powerful use is the degree to which use carries weight and influence in, for example, the political, policy, or pop culture realm. The power of Twitter resides in its brevity and speed of communication, the networks it can tap, and the content it can spread. But, not all networks, tweets, or content are equal. Whereas most observations of Black Twitter tend to construct African Americans as power users, there is rarely a consideration of them as powerful users. This, however, is changing as Black Twitter evolves. Two days after the death of Michael Brown, the hashtag “IfTheyGunnedMeDown” began trending on Twitter. The hashtag was a creative, critical, and communal response among young people to the image of Mr. Brown circulated by the major news media organizations. Some suggested that the peace sign that he flashed in the photo could be interpreted as a gang sign, a suggestion that Mr. Brown was a menace to society. Black youth across the U.S. joined “#IfTheyGunnedMeDown,” posting a surge of photos that countered the trope of black criminality. “#IfTheyGunnedMeDown” did three things. First, it changed the images that the press used to characterize Michael Brown. Subsequent images showed him in close-ups, smiling, wearing headphones, or in cap and gown. If the initial photo or even the video of the convenience store robbery implied villainy, the latter images suggest greater complexity and humanity. Second, the hashtag put news media organizations on notice that they were being watched, scrutinized, and held accountable for the narratives that they constructed. Finally, social media use by Ferguson residents played a role in redirecting the arc of the story and the ensuing conversation about race and inequality in the U.S.
“#IfTheyGunnedMeDown” was not a passive form of civic engagement. It was aware of and contested public discourses about race, demanded social justice, and changed the behavior of news editors across the country. The collective action was a powerful experience for many young people and is certain to nourish their sense of civic efficacy or the feeling that their voice matters. Back in the 1990s, Public Enemy’s Chuck D famously called rap music “the CNN of Black America.” I once asked him what he meant by that statement. He explained that rap music was journalistic in tone and was, in effect, young black America’s window onto the world. A generation later, the political and journalistic attributes of #Ferguson embody this vision in tangible form. The daily deluge of videos and pictures from the streets of Ferguson became the raw materials that helped to reframe public and policy discourse. The media are now interrogating the militarization of our police force and Congress is holding hearings. (Militarization of the local police is not new, see, for example, Mike Davis). #Ferguson signals a noteworthy element in the social media repertoire of black youth and demonstrates how “power use” can transform into “powerful use.” Twitter hashtags and photos are a common feature of youth social media engagement and everyday life. In general, these elements of social media are more likely to intersect with young people’s personal, peer, and pop culture interests. However, through those practices, young people cultivate creative skills, communication practices, and currencies that can turn decisively political. In the wake of the Michael Brown shooting, those same modes of social media engagement were used to engage news media organizations and public discourse about race, the vulnerability of black bodies, and the use of force by law enforcement. This is what some researchers refer to as the ‘latent capacity’ of social media. That is, the idea that the kinds of social media literacies that young people are cultivating in their peer-driven networks — making and sharing memes, photos, videos, and other storytelling genres — can transition from pop culture engagement to political engagement. In their survey of young people, researchers Cathy Cohen and Joseph Kahne found that young people use social media to engage in civic and political action. They call this participatory politics. The use of Twitter by Fergusons’s African American community in the wake of Mr. Brown’s death is a rich case study of participatory politics in action. Conversations among African Americans about racism, injustice, or inequality are not new. So, while Twitter has not necessarily changed black civic and political speech, it has altered the scale of “black talk” and, consequently, its capacity for impact. Political scientists measure political participation along metrics such as reading the newspaper, affiliation with a political party, attending a town hall meeting, or casting a vote. But the use of social media to report, livestream, critique, and mobilize gives rise to a whole new generation of civic actors and civic acts that we are just beginning to recognize. #Ferguson illuminates how Black Twitter has evolved into a diverse and dynamic terrain of social media practice that belies the very label used to describe it. As the events in Ferguson began to heat up an NBC correspondent on the ground tweeted, “as powerful as our press have been through years of our democracy, social media raises temp on public officials like never before.” This is the chief role of political engagement, to make those in authority responsive to the needs of the people. Social media will not be the primary reason change may one day come to cities like Ferguson, but it is almost certain to play a role in any transformation that takes place.